“No uninitialized storage system with the specified serial number could be found”. 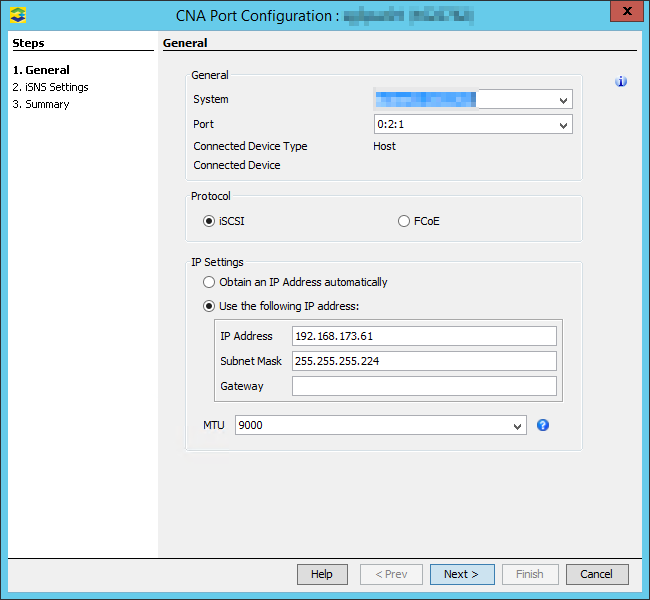 I double checked the network setup, VLANs, switch ports etc. The error occured with BOTH VSPs and BOTH StoreServs. I started the OOTB on both StoreServs using the serial console. My plan was to import the StoreServs later into the VSPs. To realize this, I tried was to setup the VSP using the console interface. I logged in as root (no password) and tried the third option: Setup SP with original SP ID. 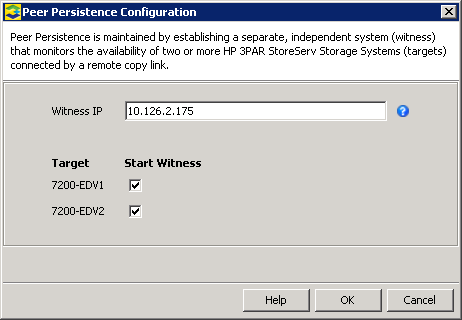 StoreServ HP 3PAR OS version validation failed - unable to retrieve StoreServ's HP 3PAR OS version. Hmm… I knew that P003 was mandatory for the VSP 4.3 MU1 and 3PAR OS 3.2.1 MU3. But could cause the missing patch this behaviour? I called HP and explained my guess. After a short remote session this morning, the support case was escalated to the 2nd level. While waiting for the 2nd level support, I was thinking about a solution. 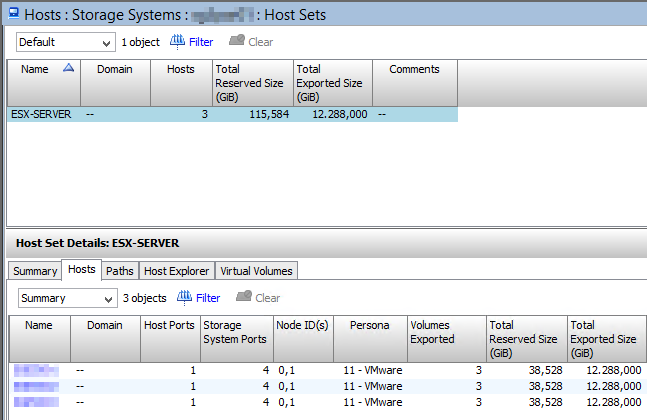 I knew that earlier releases of the VSP doesn’t check the serial number of the StoreServ or the version of the 3PAR OS. So I grabbed a copy of the VSP 4.1 MU2 with P009 and deployed the VSP. This time, I was able to finish the “Moment of Birth” (MOB). This release also asked for the serial number, the IP address and login credentials, but it didn’t checked the version of the 3PAR OS (or it doesn’t care if it’s unknown). At this point I had a functional SP running software release 4.1 MU2. I upgraded the SP to 4.3 MU1 with the physical SP ISO image and installed P003 afterwards. Now I was able to import the StoreServ 7200c with 3PAR OS 3.2.1 MU3. SP-4.3.0.GA-24 P003 is a mandatory patch for SP-4.3.0.GA-24 and 3.2.1.MU3. I’m excited to hear from the HP 2nd level support. I will update this blog post if I have more information. Together with the StoreServ 8000 series, HP released a new version of the 3PAR Service Processor. The new version 4.4 is necessary for the new StoreServ models, but it also supports 3PAR OS < 3.2.2 (which is the GA release for the new StoreServ models). 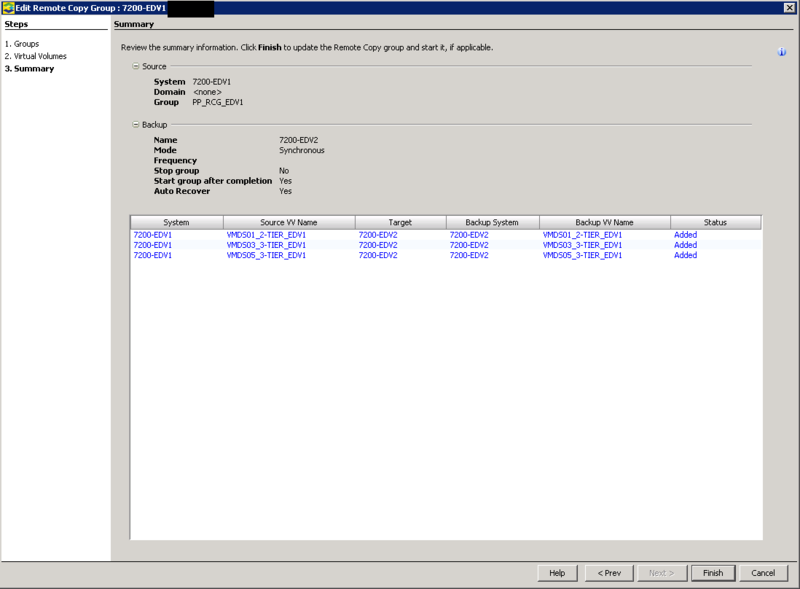 So if you get a new StoreServ 7000 with 3PAR OS 3.2.1 MU3, simply deploy a SP version 4.4. 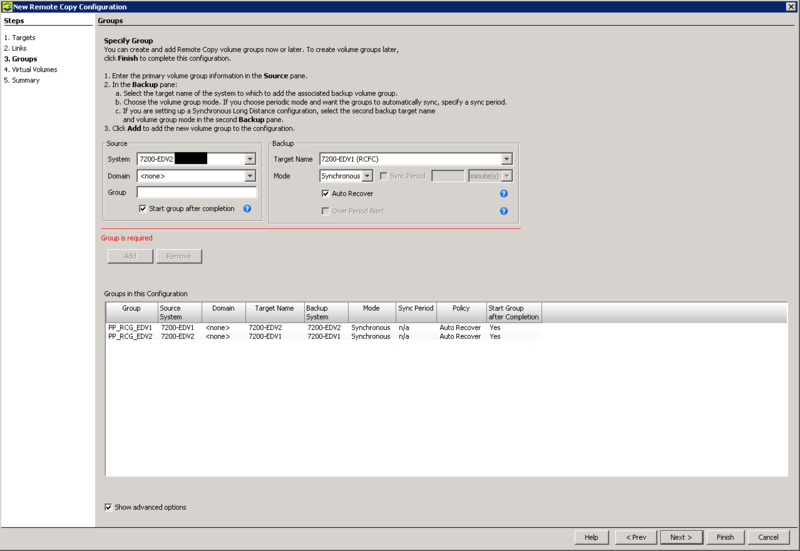 This entry was posted in Storage and tagged 3par, hp, storage, troubleshooting on August 12, 2015 by Patrick Terlisten. HP has brushed up the StoreServ 7000 series and updated the StoreServ 7200 and 7400 models. HP also added a new model to the 7000 series: The StoreServ 7440c. Especially the 7440c is a monster: It scales up to 38 enclosures and 960 drives (just to compare: A 3PAR StoreServ 10400 scales also up to 960 drives!). Check the QuickSpecs for more details. As you can see, the new models got new CPUs, more on-node Cache and tehy support mode disks. In addition to this, the they got support for a new dual port 16 Gb FC HBA, a dual port 10 GbE and a quad port 1 GbE NIC. You may ask yourself: Why 10 GbE and 1 GbE NICs (not iSCSI/ FCoE)? The answer is: HP 3PAR File Persona Software Suite for HP 3PAR StoreServ. This software license adds support for SMB, NFS, NMDP and Object Storage to the nodes of the 7200c, 7400c and 7440c. I assume that this license will not be available for the “older” 7200 and 7400. But this is only a guess. With this license you will be able to use 3PAR StoreServ natively with block and file storage protocols. 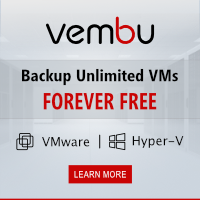 I think this is a great chance to win more deals against EMC and NetApp. Enrico Signoretti has written a very good article about the new announcements: HP 3PAR, 360° storage. He has the same view like me about the new HP 3PAR File Persona. Philip Sellers has written about another new announcement: Flat Backup direct from 3PAR to StoreOnce. 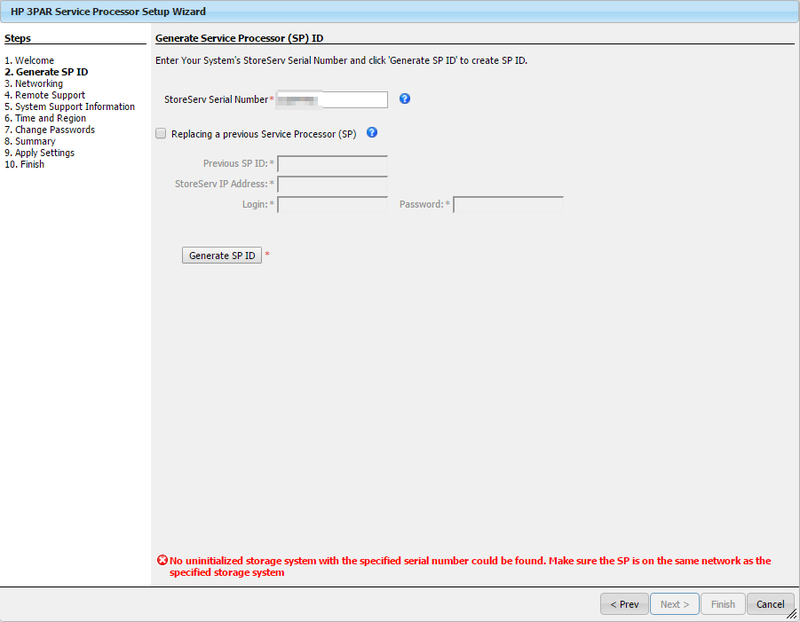 Also check Craig Kilborns blog post about the new HP 3PAR StoreServ SSMC. Last, but not least: The 3pardude about the new 3PAR announcements. This entry was posted in Storage and tagged 3par, discover, hp on December 2, 2014 by Patrick Terlisten. 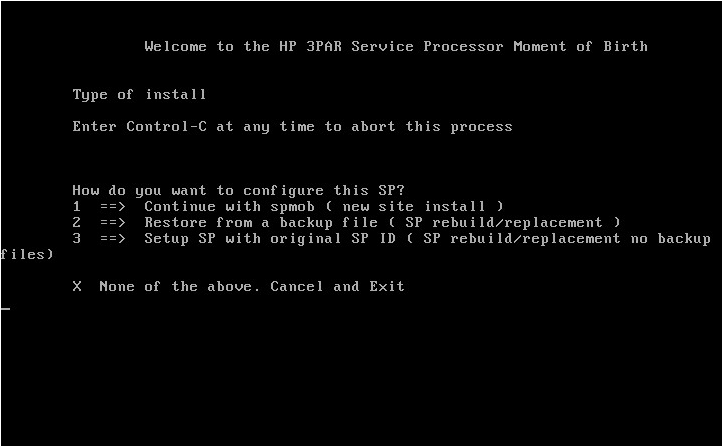 On October 28 2014 HP has published HP 3PAR OS 3.2.1 MU1, the first maintenance update for HP 3PAR OS 3.2.1. Beside some fixes, HP enabled in-line deduplication (Thin Deduplication) on all the systems with 3PAR GEN4 ASIC (StoreServ 7000 and 10000). Thin Deduplication does not require any license! It’s included in the base license and every customer can use it without spending money for it. In-line deduplication is awesome, congrats to HP for making this possible. Deduplication on primary storage is nothing new, but the way how HP 3PAR doing it, is really cool. It’s not a post-process, like NetApps deduplication technology. With HP 3PAR, deduplication happens when data enters the array. I took this figure from a HP whitepaper. It shows in a simple way what enables HP 3PAR to do in-line deduplication: The 3PAR GEN4 ASIC (Who has criticised 3PAR for using custom ASICs…?). Thin Deduplication is in line with the other 3PAR thin technologies. 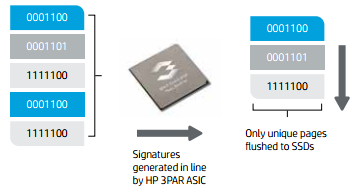 As already mentioned Thin Deplication is available on all HP 3PAR systems with GEN4 ASIC. This is currently the StoreServ 7000 and 10000 series. Even a customer with a “small” 7200 can use Thin Deduplication without additional cost. And who knows what the HP Discover will bring us… There are currently some small limitations when using Thin Deduplication. But I’m quite sure that these are only temporary. 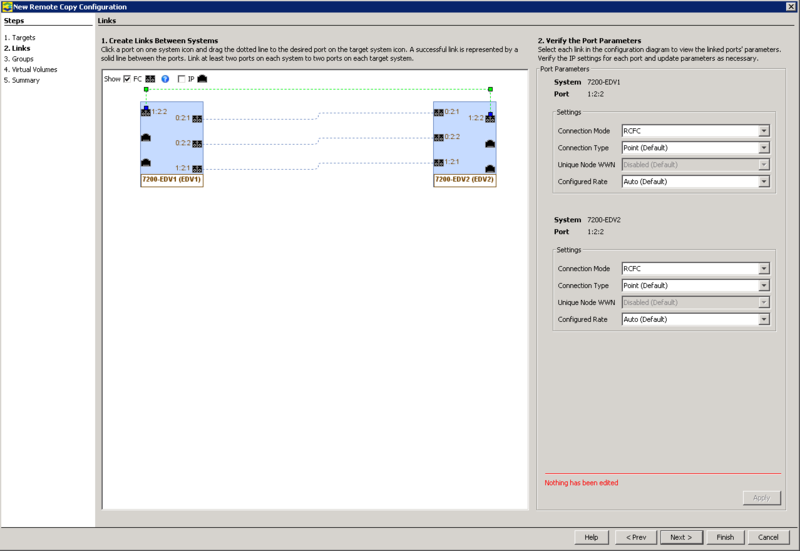 Thin Deduplication is currently only available for Virtual Volumes (VV) provisioned from a SSD tier. You can’t use TDVV with Adaptive Optimization Configuration. This is presumably because Thin Deduplication is only available for VV provisioned from a SSD tier. If a region from a TDVV has to be moved to a lower tier, the data has to be rehydrated. Converting from any VV to Thin Deduplication Virtual Volume (TDVV) can be accomplished with Dynamic Optimization, which is a licensable feature. You can have up to 256 TDVV per SSD CPG. Deduplication is fully supported with 3PAR replication (sync, async), but the replicated data is not deduplicated. 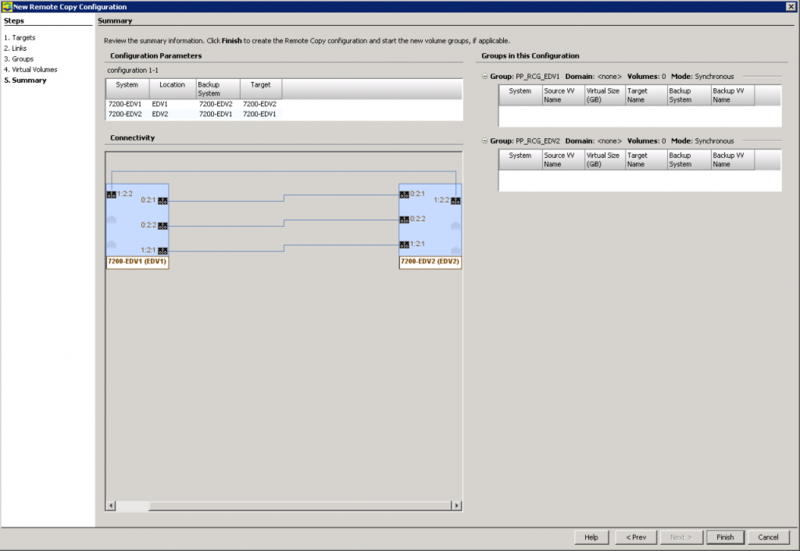 You can use a estimation functionality to estimate the amount of deduplicated data for TPVV. This estimation can be run online against any volumes, regardless on which tier the data reside. 116690 An issue in QoS and ODX from Windows hosts causes an uncontrolled shutdown. 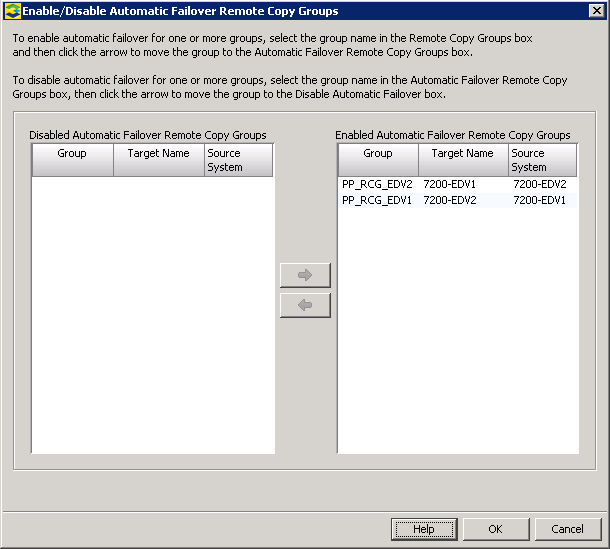 114947 The total capacity of the volumes in a Peer Persistence Remote Copy group is limited to 32 TB. MU5 or HP 3PAR OS 3.1.2 MU3 + P41. For more details take a look into the Release Notes for HP 3PAR OS 3.2.1 GA/ MU1. If you’re interested in the basics concepts of HP 3PAR, take a look into the HP 3PAR StoreServ Storage Concepts Guide for HP 3PAR OS 3.2.1. This entry was posted in Storage and tagged 3par, hp, storage on October 30, 2014 by Patrick Terlisten. HP 3PAR Peer Persistence adds functionalities to HP 3PAR Remote Copy software and HP 3PAR OS, that two 3PAR storage systems form a nearly continuous storage system. 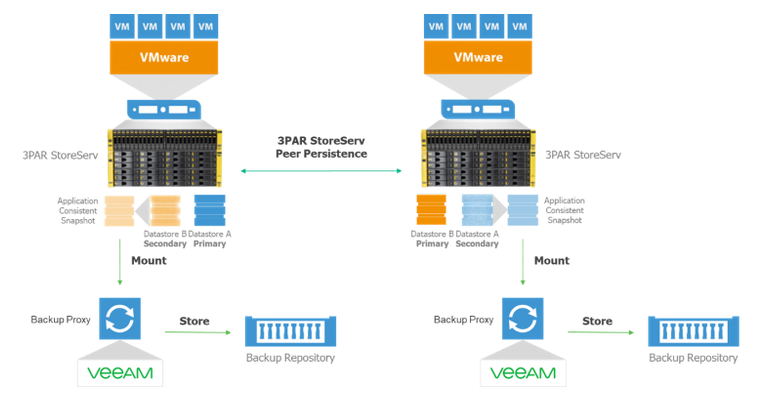 HP 3PAR Peer Persistence allows you, to create a VMware vMSC configuration and to achieve a new quality of availability and reliability. 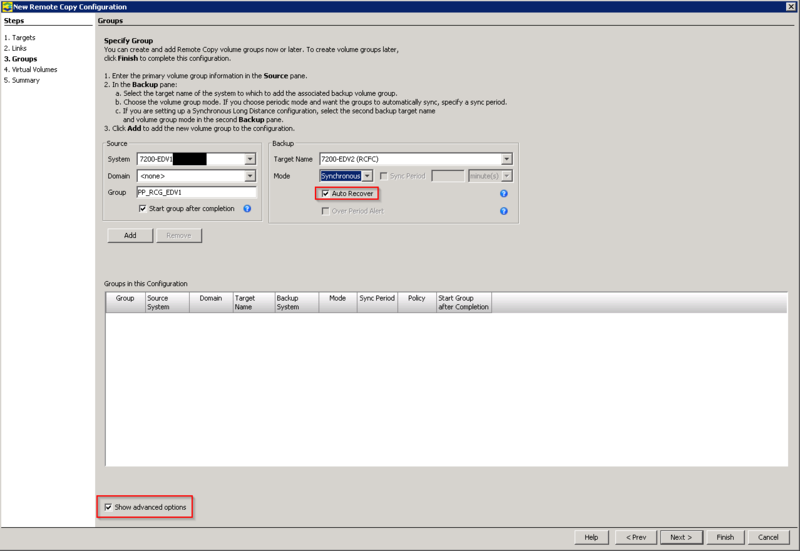 You can transfer the concept of a Metro Storage Cluster to Microsoft Hyper-V. There is nothing VMWare specific in that concept. 3PAR Peer Persistence Software supports Microsoft Windows 2008 R2 and Microsoft Windows 2012 R2 Server and Hyper-V, in addition to the existing support for VMware. 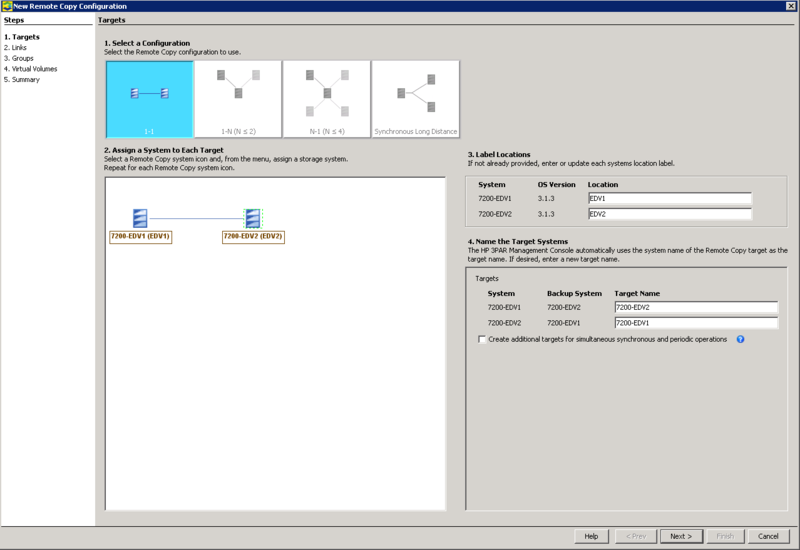 HP 3PAR Peer Persistence software enables HP 3PAR StoreServ systems located at metropolitan distances to act as peers to each other, presenting a nearly continuous storage system to hosts and servers connected to them. This capability allows to configure a high availability solution between two sites or data centers where failover and failback remains completely transparent to the hosts and applications running on those hosts. Currently supported are Windows Server 2008 R2 and Server 2012 R2 and the corresponding versions of Hyper-V. This table summarizes the currently supported environments. At first glance, it seems that Microsoft Windows Server and Hyper-V support more options in terms of Host and Remote Copy Connectivity. This is not true! 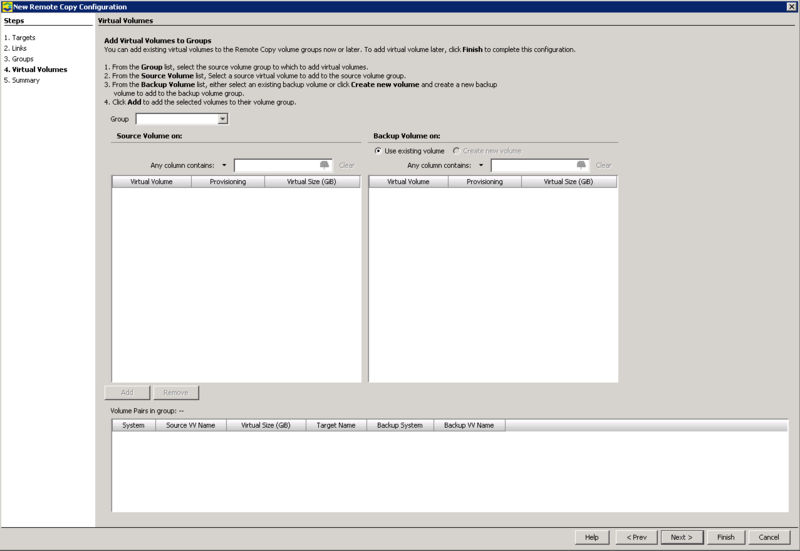 With 3PAR OS 3.2.1, HP added the support for FCoE and iSCSI host connectivity, as well as the support for RCIP for VMware. At this point, there is no winner. Check HP SPOCK for the latest support statements. With 3PAR OS 3.2.1 a new host persona (Host Persona 15) was added for Microsoft Windows Server 2008, 2008 R2, 2012 and 2012 R2. This host persona must be used in Peer Persistence configurations. This is comparable to Host Persona 11 for ESXi. 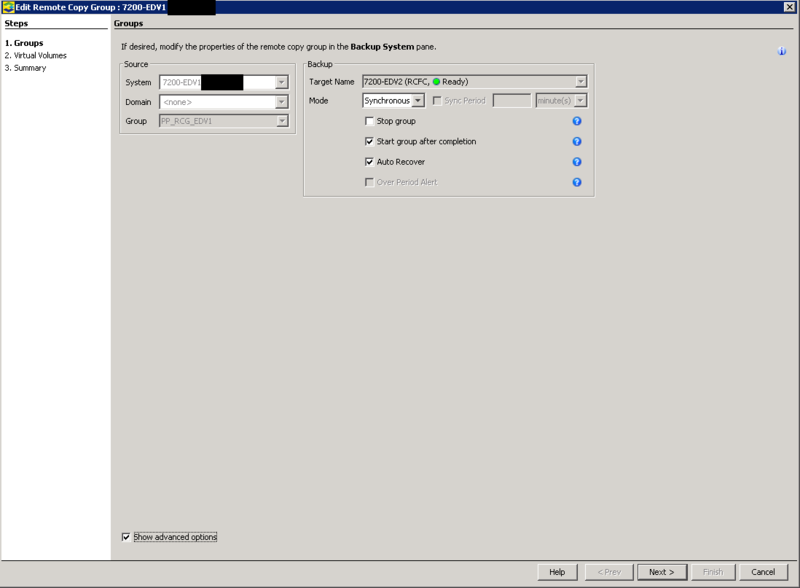 The setup and requirements for VMware and Hyper-V are similar. 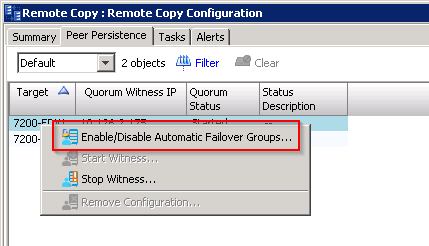 For a transparent failover a Quorum Witness is needed and it has to be deployed onto a Windows Server 2012 R2 Hyper-V host (not 2008, 2008 R2 or 2012!). Peer Persistence operates in the same manner as with VMware: The Virtual Volumes (VV) are grouped into Remote Copy Groups (RCG), mirrored synchronously between a source and destination storage system. Source and destination volume share the same WWN. They are presented using the same LUN ID and the paths to the destination storage are marked as standby. Check part I of my Peer Persistence blog series for more detailed information about how Peer Persistence works. It was only a question of time until HP releases the support for Hyper-V with Peer Persistence. I would have assumed that HP makes more fuss about it, but AFC seems to be the killer feature in 3PAR OS 3.2.1. I’m quite sure that there are some companies out there that have waited eagerly for the support of Hyper-V with Peer Persistence. If you have any further questions about Peer Persistence with Hyper-V, don’t hesitate to contact me. 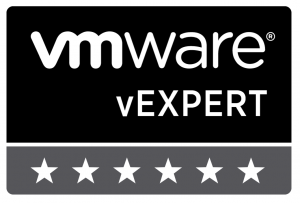 This entry was posted in Virtualization and tagged 3par, hp, hyper-v, microsoft, storage, virtualization on October 9, 2014 by Patrick Terlisten.